Chancellor Angela Merkel’s conservative Christian Democrats (CDU) called for the resignation of far-right Alternative for Germany (AfD) lawmaker Markus Frohnmaier on Monday following media reports that the Russian government exerts influence over his political actions. 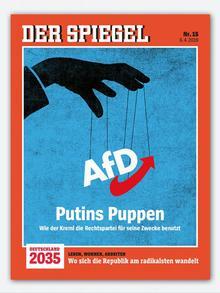 This is just the latest in a string of scandals dogging the AfD. However, even the Frohnmaier controversy may not be enough to stop the party’s rise in eastern Germany, where the AfD stands poised to form its first state government after three pivotal elections this autumn, analysts told DW. On Friday, German magazine Der Spiegel, together with German broadcaster ZDF, Italian newspaper La Repubblica and British broadcaster BBC, reported that high-ranking aides in Russian President Vladimir Putin’s administration called on the Kremlin to support Frohnmaier in April 2017, just months before Germany’s federal elections. The 28-year-old politician has been one of the far-right party’s rising stars since its founding in 2013. Before representing the AfD in parliament, Frohnmaier was press speaker for current party leader Alice Weidel, as well as former party leader Frauke Petry. 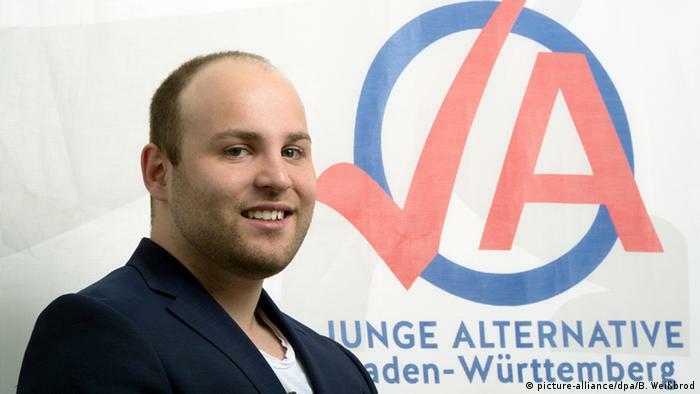 Until February 2018, he was federal chairman of the AfD-affiliated organization “Junge Alternative” (Young Alternative), which German intelligence authorities suspect of extremist activities. However, in 2015, he reportedly traveled to Saint Petersburg to meet with controversial Russian political analyst Aleksandr Dugin, who advocates for modern forms of fascism and retains close ties to President Putin. Frohnmaier also took a trip to the annexed Crimean peninsula in April 2016 that was paid for by a Russian foundation. The accusations against Frohnmaier drew quick reactions from across the German political spectrum. 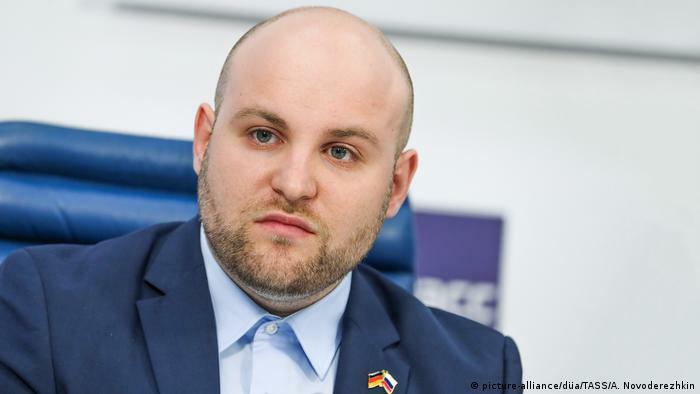 Merkel spokesman Stefan Siebert told DW on Monday that the government was aware of the accusations against Frohnmaier, but that an investigation into the legitimacy of claims that the Kremlin bolstered his 2017 election bid is ultimately a task for the Bundestag. “The Bundestag has clear rules in such cases where there are assumptions, suspicions or accusations [of foreign interference],” he said. Thomas Oppermann, the center-left Social Democratic lawmaker and vice president of the Bundestag, told Germany’s Bild am Sonntag that the Parliamentary Advisory Committee would clear up whether Frohnmaier is acting as a “gateway” for foreign actors to influence the body’s duties. The AfD is no stranger to controversy, and the latest accusations against Frohnmaier — together with the AfD’s relationship to other far-right, populist parties in Europe with close ties to Russia — are fairly damning, Florian Hartleb, a political analyst specializing in right-wing political movements in Europe, told DW. Even so, it’s hard to predict just how such a development will affect the AfD. The party is still polling at or around 20 percent in the three eastern German states set to elect new governments this autumn — despite being mired in campaign finance scandals and investigations into the party’s suspected extremist ties over the past months. Citizens in the formerly communist East German states still hold an affinity for Russia almost 30 years after German reunification. At the same time, other German politicians accused of questionable ties to foreign governments have evaded stark recourse. In 2015, CDU parliamentarian Karin Strenz reportedly accepted at least €15,000 ($16,895) from an Azeri lobby. She then went on to vote against a European Council resolution demanding the release of political prisoners in Azerbaijan, drawing corruption allegations. Strenz still retains her seat in the Bundestag, though she was forced earlier this year to pay a €20,000 fine — not for corrupt behavior, but rather for having reported extra income later than the Bundestag’s rules allow.